Rockstar Games has updated its Red Dead Redemption 2 website with a huge page dedicated to the weaponry systems. Not only is the page full of in-universe newspaper advertisements for the various weapons, but there’s a bunch of new information, screenshots, and even animation/sound demonstrations. The website goes into some detail about the depth of customization when it comes to curating your weapon collection in Red Dead Redemption 2. For starters, you can alter the look of your weapons, with things like different metals and woods, varnishes, and engravings. There are also the more obligatory performance alterations, which come in the form of parts such as barrels, grips, sights, and scopes. Weapons can be all over the place in terms of stats, and these customization options will allow players to make unique weapons of their own if they choose to put the time in. 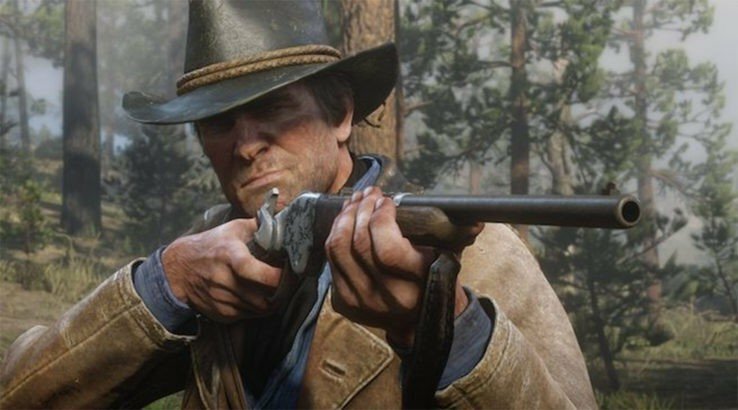 Rockstar also notes that there will be different kinds of ammo, and that horse saddles serve as your storage option. You’ll actually have to choose what to take with you when you dismount. Finally, holsters will shield single-hand weapons from degradation, and buying a second, off-hand holster will allow dual wielding. The site also provides some information on the new version of Dead Eye, which we already know is seeing some significant changes. Dead Eye can be upgraded throughout the game this time, which brings new abilities such as auto-targeting, shot-placing, free-fire in slow motion, and finding weak spots.